PaperCut MF - print, copy and cost control for RISO Multifunction Devices. Device access control, copy tracking and print job release developed by RISO compatible with PaperCut MF. 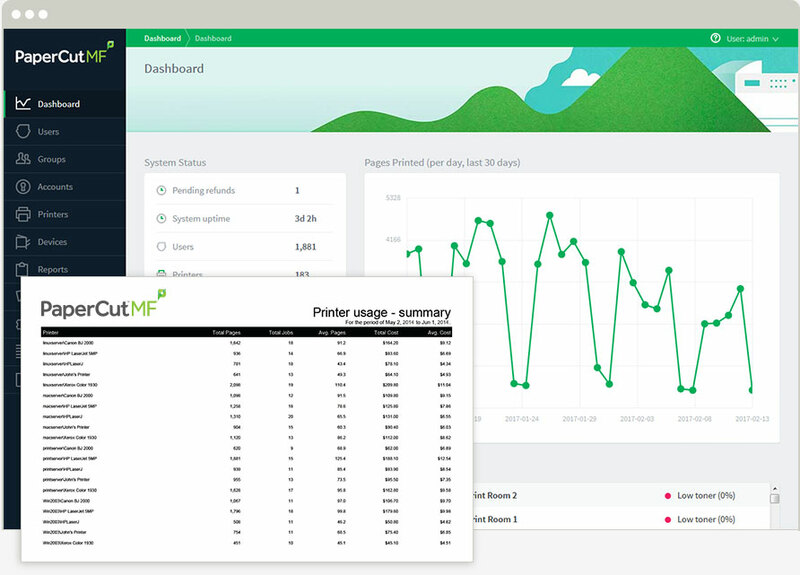 Create a secure document environment, encourage responsible print behavior and make users or departments accountable for their usage with PaperCut MF on RISO ComColor devices. User Authentication at the device via Username / Password and Card Authentication (Optional USB card reader required). 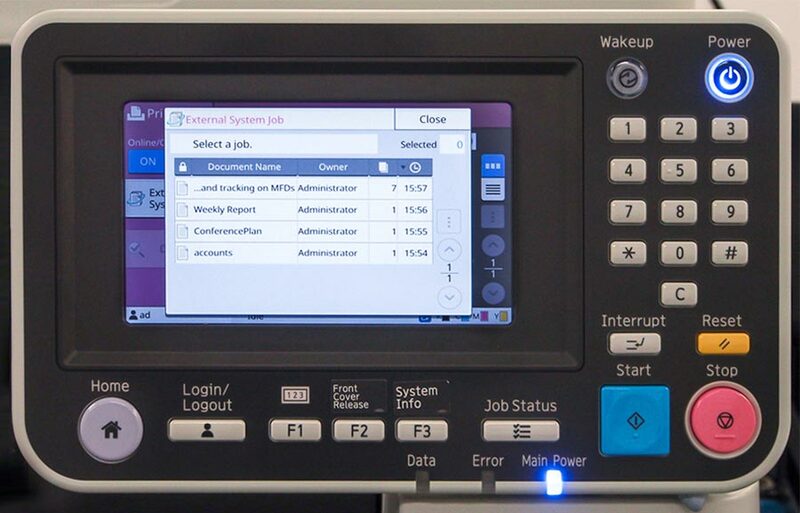 An easy user interface across RISO multifunction printers. Account selection and Print Release at the touchscreen. Dedicated RISO script for large print job redirection. PaperCut MF's server software is easy to set up on a choice of operating systems (Windows, Linux, Mac and Novell) and all management is conducted from a single admin console. "Without RISO in the school and the PaperCut solution, it would be nearly impossible to manage the print solution effectively… The information that you get out of PaperCut to help manage your school is perfect." PaperCut MF with a RISO Connector licence is available from your PaperCut or your RISO supplier. To find a RISO supplier, please contact one of the PaperCut Authorized Solution Centers (ASCs) who distribute PaperCut in your region. To ensure you receive the best quality support regarding your RISO PaperCut integration, please contact your PaperCut MF supplier and / or local RISO technical team.